China Influences Cryptos, Like It or Not! Home News China Influences Cryptos, Like It or Not! A new study by researchers from Princeton University and Florida International University shows that China has an undeniably huge influence on Bitcoin. Researchers from Princeton University and Florida International University are showing a new picture of Bitcoin’s misty world. Ben Kaiser, Mireya Jurado, and Alex Ledger teamed up to analyze the Chinese influence on cryptocurrency’s poster child — Bitcoin. The Asian socialist regime, which extensively monitors its Internet and has remained relatively negative on the scope of digital coins, could prove to be a threat to the digital coin ecosystem owing to its sheer influence in the market. A large number of Bitcoin mining pools are located in China, and before the authority cracked down on its exchanges, the Asia stalwart was a huge market for cryptocurrencies. Despite the government’s open attack on digital coins, China still has a substantial number of miners. Some of the biggest crypto projects like NEO have originated in China. Not only this, but Hong Kong also acts as a small haven for exchanges and crypto entities to operate without the tough oversight from mainland China. Bitcoin is designed in such a way that no single entity can have over 50 percent of the hash power on its network, which provides a majority authority over the blockchain. In practice, the Bitcoin network hasn’t suffered an attack of this kind. But if China wants, it can easily influence its large mining pools and, in turn, the Bitcoin blockchain. The research suggests that about 74% of the total Bitcoin mining hash power resides in Chinese mining pools, which creates a serious problem. What Could China Achieve by Attacking Bitcoin? 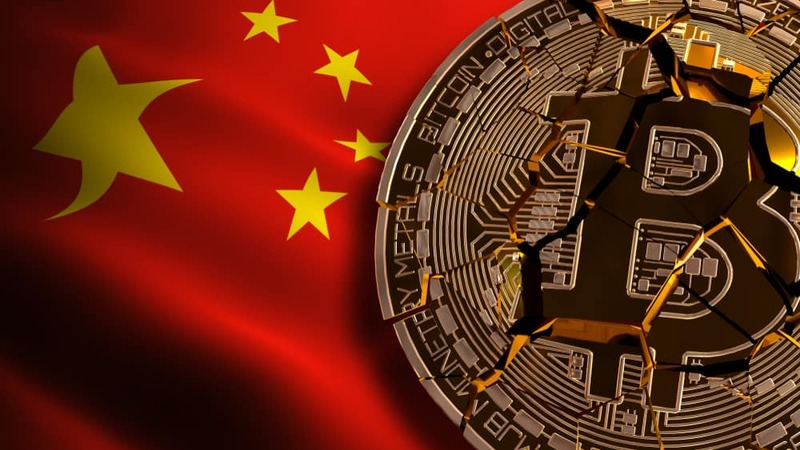 According to the report, Bitcoin’s demise will bring the death of an idea that clearly opposes the Chinese government’s authoritative control. The authorities may also seek to control capital outflow from the action using Bitcoin sanctions and a more calculated crackdown on the industry that wipes it away from the face of the country completely. In addition to this, China could also take the stealth route and focus on undermining non-Chinese mining pools, so their influence on the blockchain network improves further, and they get to control more hash power. By doing this, the country can also launch attacks on other countries that are either hostile to the Chinese or do not play by their rules. Bitcoin could be used to destroy any country’s traditional financial system and then help it rebuild from the ground up. China may only be interested in the first application.